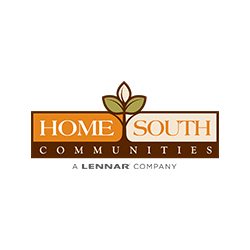 Parkside Landing by Home South Communities, a Lennar Company, features a beautiful community of new homes that are priced from the mid $300,000’s. With its excellent Sugar Hill location and incredible price point, these homes are sure to be an instant hit with buyers. Featuring single-family homes that offer over 2800 square feet of living space, with both slab and basement home sites available. Parkside Landing has a stunning fully decorated model home Now Open, which showcases many upgrades, finishes and features offered by Home South Communities. New homeowners at Parkside Landing will be able to enjoy the communities great location with easy access to E.E. Robinson park directly across the street. Your family will enjoy the community pool with Cabana to meet your new neighbors. Located near the beautiful downtown of Sugar Hill and Suwanee with loads of shopping, great restaurants and parks. Parkside Landing is close to the Mall of Georgia, Lake Lanier Islands, and Chateau Elan.